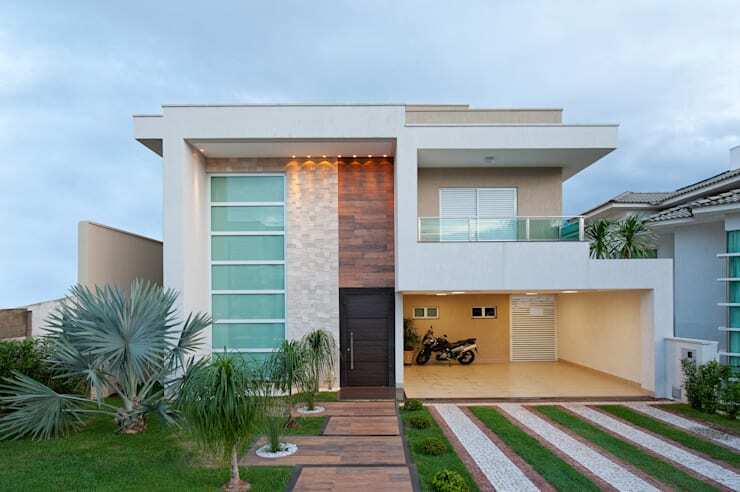 This beautiful home, located in Brazil, is pure perfection, from its outstanding exterior design to its luxurious and elegant interior. 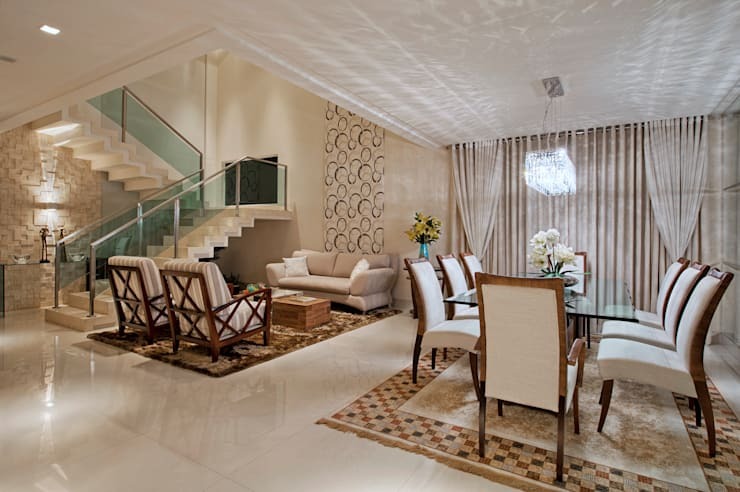 Every room in this modern home has spacious design and décor in mind. The spectacular villa was designed by the experts at Livia Martins Architecture. The home has an attractive quality about it, with a stunning colour palette used in the décor of the interior and exterior. The large garage and amazing garden, allows onlookers and guests to enjoy the wonderful modern home that is tasteful and timeless in every way. Home design and décor takes on a personal edge here so let's take a closer look! From the beginning, this home has a desire to be attractive, this is evident in the modern façade, which is undeniably eye-catching. The front exterior of this home has been elegantly decorated with a stunning green garden and neutral tones. The colour palette used in the décor is inviting and warm with beige and light brown used in this innovative and amazing designer home! Even the outside is cosy! A living room should be welcoming and attractive as it is often the first part of the home that a guest will set into, and this stunning and luxurious living room is surely inviting and eye-catching, don't you think? The neutral tones of beige and light brown included here along with the stunning wallpaper creates a beautiful living room space, one of unusual and yet unique design that all works really well together. Can you imagine entertaining family and friends here? Your home will be the topic of conversation throughout the evening! Although this dining room and living room is in a shared space, it doesn't make the home any less elegant, in fact the spaciousness of the home is emphasised even more through the addition of this grand dining room table. The brilliant lighting included throughout the home along with the light and shiny colour floor allows this home to look even more spacious. Absolutely stunning! A space such as this is the perfect place to entertain guests and visitors without actually creating a mess to clean up in your living space, whilst also offering the functionality of a secondary kitchen. The open space is enough to place even more tables and chairs if you are expecting more company or why not turn it into a fun little dance floor? The possibilities are endless if your home is spacious, so go on and really make your home stylish and comfortable! 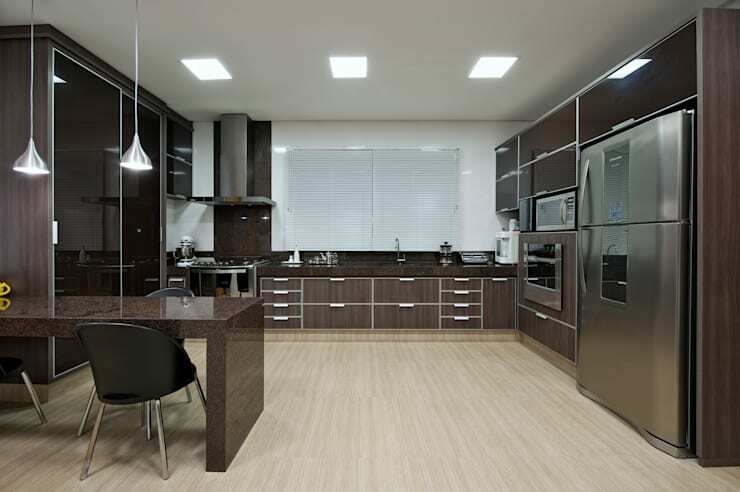 This modern kitchen complements all the aspects of the home perfectly with that similar neutral earthy tone used in the kitchen cabinets and flooring, while the countertops are a similar hue of granite, creating a truly magnificent kitchen. A breakfast bar in a spacious kitchen is always a hit because it means food can be prepared and eaten immediately, while the brilliant lighting is perfect for this modern kitchen as every kitchen needs exactly that! 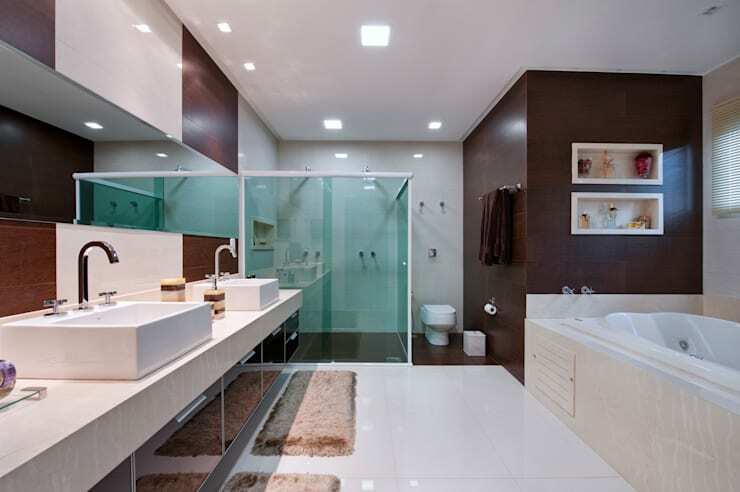 In keeping with the rest of this amazing home design, the bathroom is really no different.The modern and minimalist design with the neutral tones of brown, beige and white will definitely ensure that this bathroom maintains a level of elegance, tasteful décor and style for many years. The designers of this stunning bathroom and home have taken full advantage of the space available in creating this masterpiece! 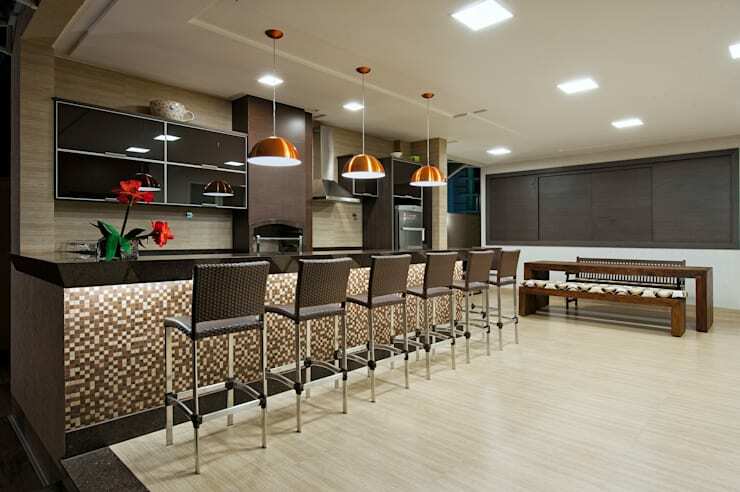 If you liked this modern home, you should also check out: A Modern Home for a Lucky Family. Did you love this home as much as us? What did you like most about it? Share your thoughts with us!